The majority of Potawatomi, self named Neshnabé meaning "Original People", reside in United States. In the United States, they are a federally recognized Native American people headquartered in Shawnee with their tribal jurisdictional area being Cleveland and Pottawatomie Counties, Oklahoma. However, they reside in many states throughout the United States with Oklahoma and Michigan having the largest populations. In Canada, they predominantly reside in Ontario. Their majority of the people speak English. Very few fluent speakers exist among the Potawatomi. However, they are seeking to revitalize their by acquiring and documenting as much as possible of their language. Moreover, they are conducting on-line and in-person classes, plus in their children's program. 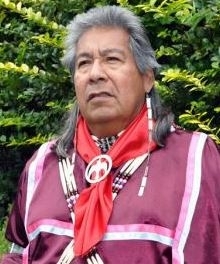 The majority of Potawatomi people adhere to the Mide Religion or Medicine Lodge Religion and the Native American Church. A smaller percentage adhere to Christianity. For more information, see the Citizen Potawatomi Nation website. Thank God for the Potawatomi people and their historical heritage as a Native American people. Pray Christians will plant many churches among the Potawatomi people. Pray for evangelical Christians as they share Christ with unreached Potawatomi and other people.